Working with a local expert regarding cultural and racial equity, the Arts Commission has spent much of 2018 examining our implicit biases, asking uncomfortable questions, and educating ourselves about the history of marginalized groups and the struggles these groups face today. As a result, the Arts Commission has become excited about the opportunity to be equity leaders - improving access to resources for local artists and community members and setting a positive example for our City’s leaders. 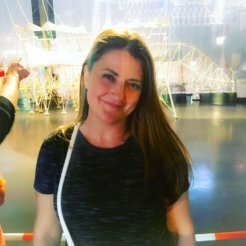 Classism, racism, ableism, homophobia, transphobia, sexism, segregation, and xenophobia have contributed to an unequal distribution of wealth and funding, unequal representation in cultural institutions, a lack of access to knowledge about institutions, and a lack of diversity in public art projects and programs. This is a problem nationally and locally. And even though Santa Cruz prides itself on being 'liberal' and 'open minded', there is no doubt that institutional barriers still exist here in Santa Cruz and within our own organization. Our focus on Equity, Inclusivity and Environmental Justice is foundational. This awareness will be the bedrock for revisions to the City’s Arts Master Plan, which we will embark upon drafting in 2019. Through this ongoing work, the Arts Commission is taking steps to improve these problems. We are making specific efforts to invite underrepresented people to become involved with the Arts Commission, to fund and promote cultural events, and to pursue projects that contribute to equity, inclusivity and environmental justice. WE have in the works a draft Statement of Intent regarding equity, inclusivity and environmental justice and a Resource Guide on equity, inclusivity and environmental justice. We are auditing all our programs and doing outreach to form relationships with local organizations and individuals including that can inform our work - including Senderos, the Amah Mutsun Tribal Band, Santa Cruz Diversity Center, Clarity Arts, Shared Adventure Artists, and many more. We are also assembling an Ad Hoc Resource Council – a group of people that we will consult regarding programs, projects, and outreach efforts. 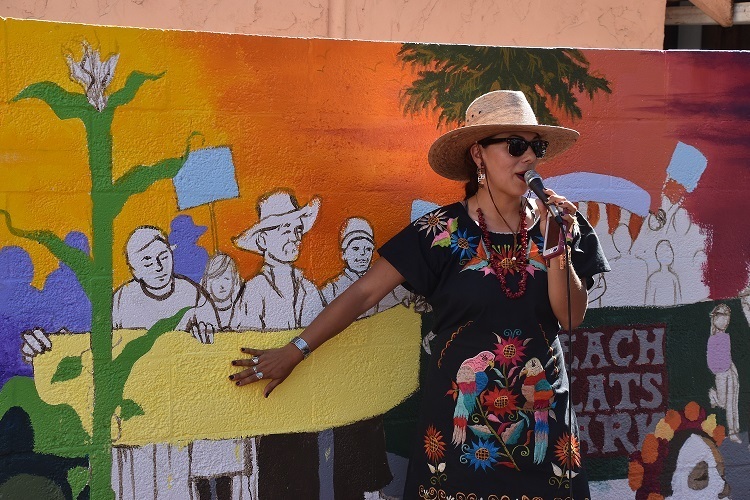 Pictured below - Irene Juarez O'Connell talks about the Beach Flats Mural in progress and its depictions of local history and culture. The most impactful and beautiful projects we have worked on or sponsored in the last few years have all touched on themes of equity, inclusivity and environmental justice –such as the Beach Flats Mural, the Diversity Center Youth Mural, sponsoring the Guelaguetza by Senderos and the Mole and Mariachi Festival presented by Friends of State Parks. All have deepened our understanding of the importance of this focus. The Arts Commission is following many local and national groups as we pursue intentional equity work. In the United States, there are systems of power that grant privilege and access unequally such that inequity and injustice result, and that must be continuously addressed and changed. Cultural equity is critical to the long-term viability of the arts sector. We must all hold ourselves accountable, because acknowledging and challenging our inequities and working in partnership is how we will make change happen. Everyone deserves equal access to a full, vibrant creative life, which is essential to a healthy and democratic society. The prominent presence of artists challenges inequities and encourages alternatives.